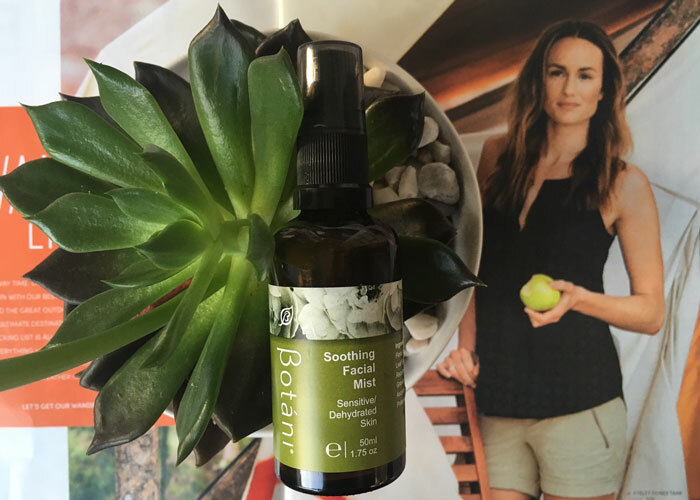 With a short ingredients list and the most beautiful, pure rose scent, Botani’s Soothing Facial Mist didn’t last long in my toner collection. There’s something special about a product that captures the most refreshing essence of an aroma so captivating yet often underestimated. With Damask rose floral water as its first ingredient, Botani makes me excited about roses again. This, in combination with calming chamomile extract and a hint of grapefruit seed extract, makes for a mist that has you audibly sighing “awwww” with every exhale. Wonderfully simple in its formulation, rose water, glycerin and aloe work well to hydrate and soothe skin in preparation for moisture. I loved using this toner both day and night, but especially at night because of the incredibly calming scent. Besides ingredients, I must mention packaging. Sure, this is just an amber glass bottle with a nice little green label. But the power is in the spritz. That nozzle can really make or break a toner for me. No matter how great the formula or how beautiful the branding, if the spray nozzle fails to deliver an even, lightweight layer of moisture and aromatherapy, I’m out. I’m a misting fool, y’all, and this soft, rosy mist had me OD’ing every single day. Which is why, in a different (positive?) way, I’m out — of this toner. I ran through it quickly and loved every single mist of it. Australian-based babes, I’m jealous that you have easy access to this … but that’s why we have Amazon Prime to serve us in the States! This is easily on my repurchase and faves list. Because seriously. The scent and spritz are that good. What are your favorite calming, comforting scents? What do you look for in a hydrating toner? Tell me in the comments section!